Mac Information Apple Watch to Re-Define Language of Gender? Apple Watch to Re-Define Language of Gender? On Monday 9th March Apple will reveal details of the Apple Watch. As I have set out on this site in the past, we know a certain portion of the information already, but there are many aspects which have been held back until now. One part which I have noted over the past few weeks is the issue of gender- the size of the Watch and the way Apple handles the promotion of the 38 and 42mm models. In the well-established watch market, small is for women and large is for men. "Ladies" vs "Gents" is a tired old cliche which lasted through the 20th century and is still apparent in watch advertising today. Almost the first choice made when you enter a jewellers is to walk over to the men's or ladies' section of the store- with a gender choice coming before all other decisions. The established watch market falls into two gender-based categories: watches for men which focus on strength, rigour, power, sophistication. This stands in opposition to the "ladies" watches which aim for femininity, style, glamour, elegance, lightness. Apple don't belong here. Apple don't do gender. In all of the years I have followed Apple and their products, they have never focussed on gender or marketed along sexist lines. The iPhone has never aimed to divide the products lines along male vs female: the choice of colour matches a lifestyle choice, not part of a gender equation. The closest we can find might be the iPods. When Apple launched the range of colours for the iPod nano, it could be argued that the colours were aimed at different categories. But again Apple did not lead us down a path- there was never a stated aim of marketing a pink iPod at women only, and say blue for men. The range of colours were left open to the consumer, a personal choice based on lifestyle, the iPod's purpose and without the constraints of gender-based limitations. But now we are in wearables, Apple's first product to specifically enter a style market. I fundamentally hope, and believe, that Apple does not intend to enter this market and adopt the old cliches set out by an ageing marketplace. We deserve better and if any company is going to lead to break up these types of segments, it is Apple. 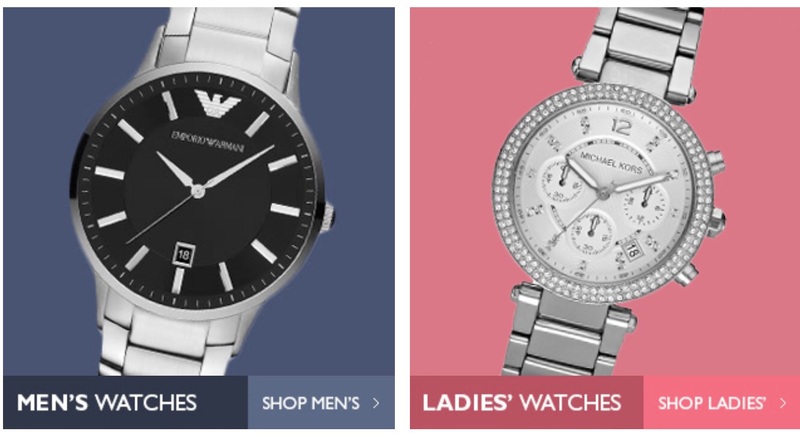 The Watch information pages on apple.com do not make any mention of male vs female or "ladies" and "gents" editions. I believe that tomorrow Apple will launch two categories of Watch- a choice of large and slim. Why can't slim be athletic, light, lean, a perfect choice for any consumer irrespective of their gender (those who prefer the slimmer shape, not those who fit into a "slim watch segment"). Apple have always been to the forefront of the marriage equality debate, and I believe that old gender issues are not something that they will want to reinforce. Now is the time to break with old conventions and Apple seem set to break the old categories seen on almost all watch manufacturer websites. I look forward to seeing Apple's adverts and how they will define who will wear each of the devices. Apple are likely to reject the old assumptions of what a watch does and the functions contained in a wrist-based device, they will also change the language used to define this category. A freshness in design would be well matched by a fresh approach to language and how the Watch will be marketed.